All little girls, and some little boys, know the game He Loves Me, He Loves Me Not. Each one who plays hopes to end on the He Loves Me petal. But how many of us really find that perfect mate? That one partner who will love us unconditionally for the rest of our lives? How many of us really live the dream, and how many live through the heartbreak of ending on the He Loves Me Not petal? 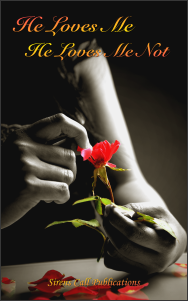 He Loves Me, He Loves Me Not is an anthology of ten stories told from ten different perspectives on love and romance. Some have happy endings, while others end in tears, on a note of desperation, or even a new beginning. A few of the stories are fantasies come true, some steamy encounters of wanton lust, and others still are tales of woe - but the one thing they all have in common - they answer the age old question; does he love me, or does he not? In places where unspeakable atrocities occurred sometimes ‘something’ lingers, stuck between the worlds of the living and the dead. Those who believe in the grey area behind the veil will tell you that those places can become eternal cages that hold the souls of the deceased captive. 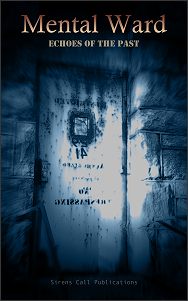 Mental Ward: Echoes of the Past is a collection of twelve such stories; tales of hauntings taking place in asylums. The places where the crazed, the insane, and sometimes the different were hidden away from society’s view. Follow the winding path crafted by the talented, and in some cases, twisted imaginations of the storytellers who would taint your peaceful world with their echoes of the past. Sanatorium, mental ward, psychiatric hospital - they’re all the same. Places where the infirm, the crazy, and the certifiable go for treatment... Or what passes for ‘treatment’. 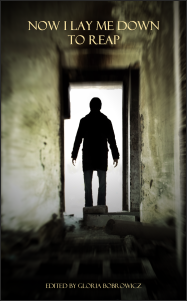 This is a collection of stories of bedlam taking place within the padded walls of an institution. Stories of experiments gone wrong, patients revolting against the staff, or even the deranged doings of those charged with giving care. They are sick, depraved, and atrocious - these are the type of stories that rarely reach the light of day. 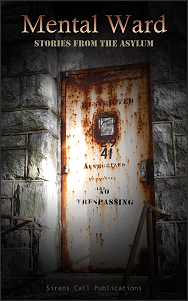 Are you brave enough to crawl inside the minds of the twelve authors who wrote these tales... Or are you afraid you’ll be locked up for peeking? 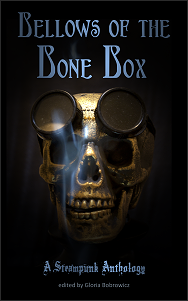 The Steampunk and Horror genres are masterfully combined in the twelve stories contained within Bellows of the Bone Box. Each of the authors has transported you to an age where steam is the dominate means of power and has woven a tale that will fascinate, or possibly scandalize you. In this volume, you will find clockworks, pneumatic tubes, airships, and leather worn out of necessity - not vanity. Can an engine be powered by human blood; should it be? What about body modification; what happens when the mechanical meets the biological and goes awry? Does the heart rule the machine, or does the machine consume the humanity that once existed within it? What of airships, regeneration, or hallucination; is it safe to trifle with such things? Should technology that can rift time and dimensions be researched; and if that research proves fruitful, should it ever see the light of day? Brad Bass, Paul Boulet, Laura Brown, Vivian Caethe, Alex Chase, Megan Dorei, O.M. Grey, Tarl Hoch, Gavin Ireland, Kirk Jones, Kate Monroe and Christofer Nigro. We've all come across them. The warnings told by a friend of a friend - don't go in there; I wouldn't if I were you; did you hear about... Or perhaps your mind leaps to the cryptozoological realm - creatures barely glimpsed, and yet to be identified. Other spheres of existence - they can't be real… certainly not until you've experienced one! Maybe the real horror lies in the minds and hearts of others just like you. People with a slightly bent perspective that feed on the fear in others. Twisted souls that would take advantage of the weak, or vulnerable. Those who believe they are doing good for a higher power, or to gain power simply for themselves. Petty vengeance that breathes a life of its own once unleashed. 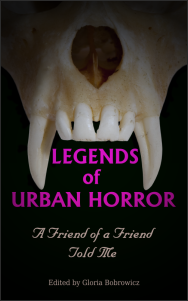 Whatever your poison, the ten stories in Legends of Urban Horror: A Friend of a Friend Told Me are sure to intrigue, and perhaps bring back fears long forgotten. Morgan Bauman, Kimberly A. Bettes, Matthew Borgard, Alex Chase, Austin Fikac, K. Trap Jones, Sean Keller, Lisamarie Lamb, Jon Olson, and C.M. Saunders. The Apocalypse has come, leaving in its wake small pockets of survivors battling to stay alive; each carving out a new beginning for mankind. 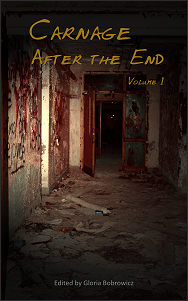 The ten stories in Carnage: After the End - Volume One are the terrifyingly harsh and brutal realities those survivors must face. Each one takes us to a place where humanity's stragglers are forced to battle with enemies outside of their control; mutant beasts, groups of depraved and desperate people, and the terrifying threat of a dwindling food supply. Their fight for survival gets even more difficult as they search among the tatters of civilization for the will to carry on. Kimberly A. Bettes, Shane Cashman, Shane R. Collins, Laura Diamond, Rodney James Galley, Michael Griffin, Russell Linton, Adam Millard, Christofer Nigro, and Julianne Snow. 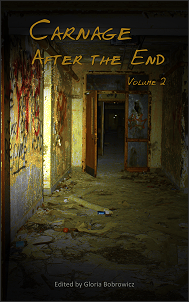 The ten stories in Carnage: After the End - Volume Two tell of the frighteningly horrific and cruel lives the survivors must face. Each one takes us to a place where humanity's stragglers are forced to battle for their very existence against their own grim reality; creatures from different worlds or times, individuals or groups of miscreants who feed on the fear of the weak, and even the terrifying threat of unknown bacterial organisms. Their will to go on diminishing among the tatters of the civilization they once knew. Angel D. Callido, Charlie Fish, Harper Hull, Magda Knight, Jason Lairamore, Harry Manners, Zachary O'Shea, Wednesday Silverwood, Adrian Tchaikovsky, and L.E. White. The eighth commandment; thou shalt not steal. In this anthology, there are no happy endings. Ryan C. Anderson, Thomas James Brown, Aspen deLainey, John H. Dromey, Amber Keller, Christian A. Larsen, Jeffery X Martin, Lori Michelle, Sergio Palumbo, J. Marie Ravenshaw, Bill Read, and Adrian Tchaikovsky. Explore the twelve tales of horror and intrigue in Twisted Realities: Of Myth and Monstrosity and ask yourself, what would you consider a fair price to pay for life immortal... or the chance of life at all? Would a young woman pass up a shiny bauble if she believed it to be nothing more than a harmless trinket? What transpires once a year in a peaceful and remote village that no one will ever speak of? What better way for a broken man to honor a crippled existence than with a memorial of blood and vengeance? How could a disfigured woman ever dream of chancing across an object that would restore her beauty - and at what cost? 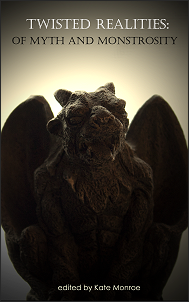 Those whispered tales of monsters hiding under the bed, or of the demons lurking in the shadowy corner where we dare not glance for fear that seeing them will make them all too real. Oh, how the innocent landscape of a child's imagination lends fertile soil to horrors ready to be sown on the slightest of sounds; the tales and the terror they wreak on our youthful minds never quite leave us. 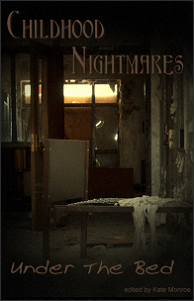 We asked the authors in this collection to reach into the forgotten recesses of their twisted minds and share with us the tales of nightmares that can only thrive in the hidden corners of a child's imaginings; the bogeyman under the bed, the outlandishly fiendish creature lurking in the dark, the slight murmur of sound coming from the hall… did you close the door completely? Tell us, who is Under the Bed?